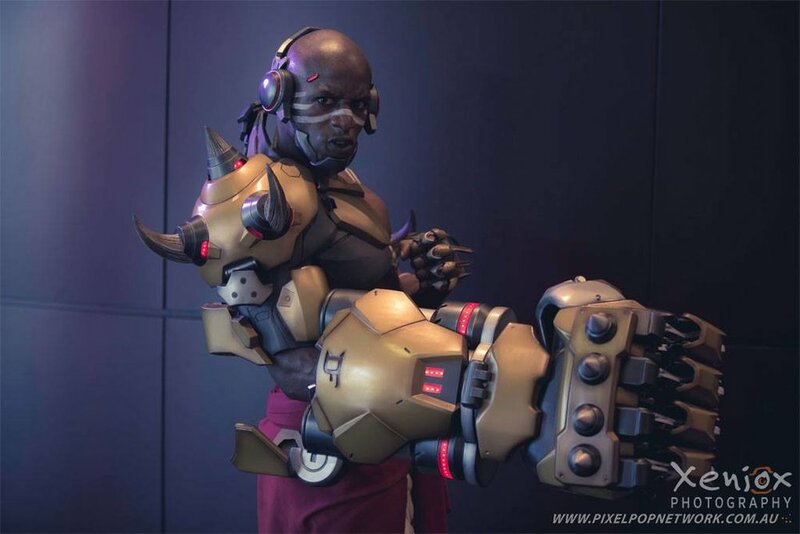 Doomfist from Overwatch was created for Blizzard Entertainment for the new characters release. 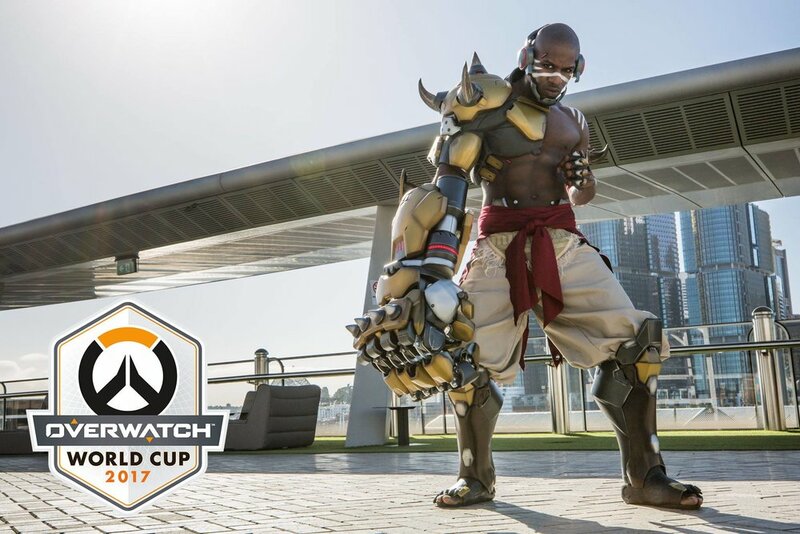 Our team created two full Doomfist costumes for the simultaneous appearance of Doomfist at San Diego Comic Con and the Overwatch World Cup 2017- Sydney Qualifier. 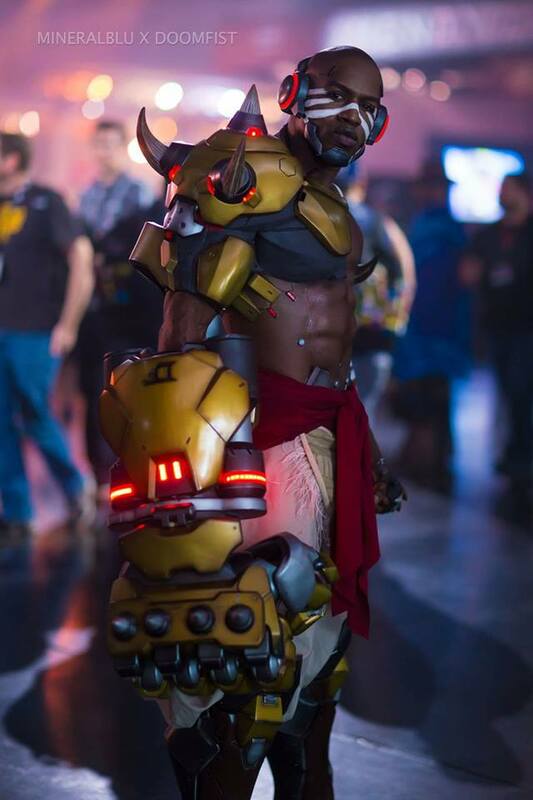 In addition to community interaction at numerous events; we created branded content to be distributed on social media channels. 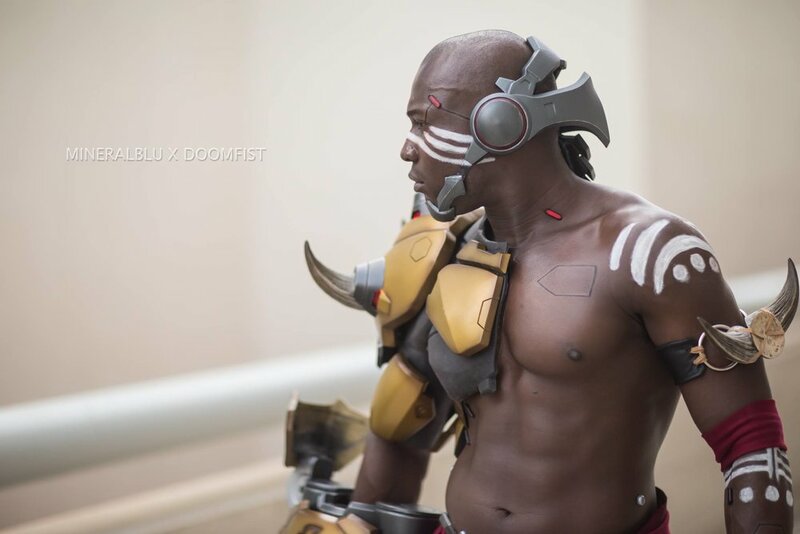 To bring Doomfist to life our team used a mixture of traditional and digital methods to merge the robotic and organic elements of the costumes. 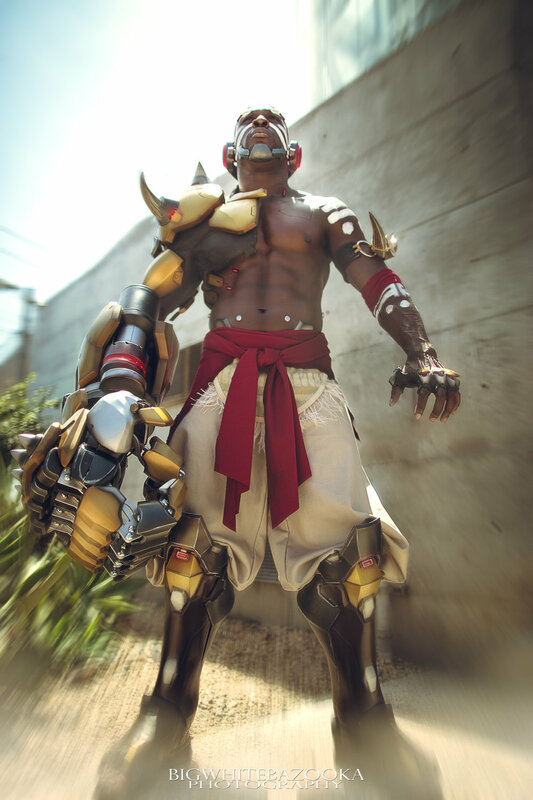 The techniques used included batik dying, life casting, hand sculpting and 3D modeling & printing. 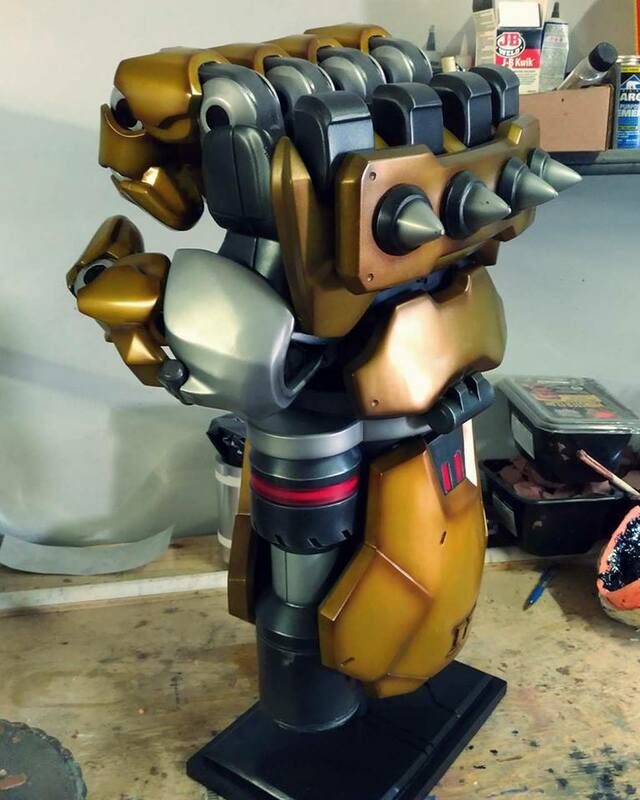 Our team molded and cast close to one hundred pieces per costume, from the individual fingers of the fist to the red cybernetic elements on his skin.